In addition to teasing Siegefall, its gorgeous-looking online multiplayer strategy game hitting iOS soon, Gameloft has also updated its two popular iPhone and iPad games with tons of new features in latest content updates. For starters, a whole range of new Spideys are now available in Spider-Man Unlimited for the iPhone and iPad, in addition to official support for ‘Made for iPhone’ controllers and a bunch of other improvements. 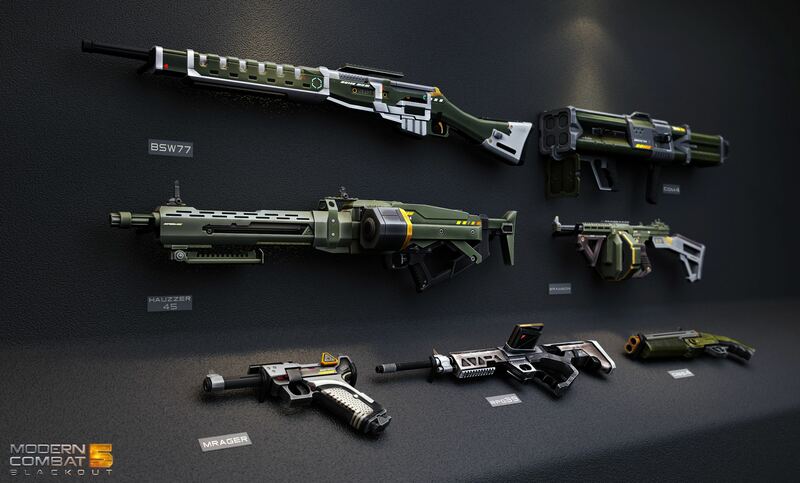 At the same time, the popular first-person shooter Modern Combat 5: Blackout has gained new weapons and customization options, including weapon trinkets, weapon camps and several new killsigns. 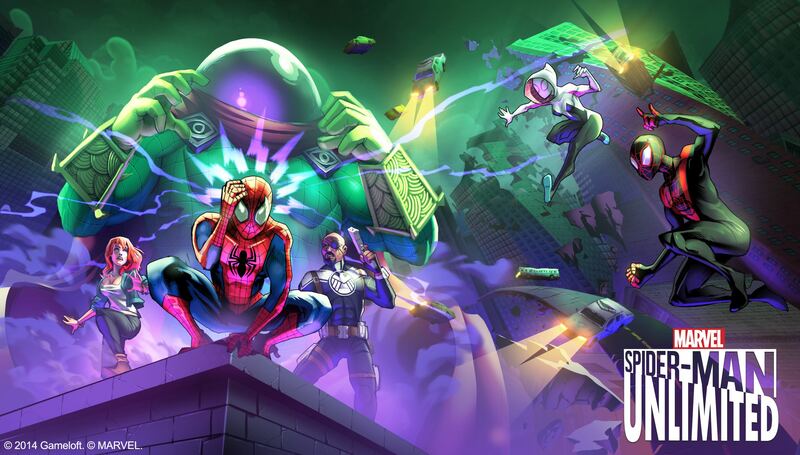 In the new ‘Mysterio’s Mayhem’ update to Spider-Man Unlimited, players get 25 missions, alternate dimension Spideys, the new Titan rarity and more. Now you can face off against five comic variants of Mysterio, the final Sinister Six villain, across 25 new missions and upcoming special events for Father’s Day and Independence Day. Titan Spiders, a new rarity, gives you all-new abilities. There are now seven alternate dimension Spideys, with Mary Jane arriving as Mangaverse Spider-Woman, plus Scarlet Spider (Felicity Hardy), Spiders Man and more. Next, the game now lets you obtain an 8-star rank on global leaderboards to reach a maximum new level of 110. Gameloft has said that a brand new Multi-day event featuring an event exclusive special boss is coming soon to the game. Battle Mysterio, the final Sinister Six villain. 5 comic variants of Mysterio. 25 new mind-bending missions to complete the Sinister Six saga. Can you escape the illusion? An all-new level of power with a new rarity and abilities. Dominate the leaderboards by obtaining an 8-star rank and reaching a max level of 110. Mary Jane arrives as Mangaverse Spider-Woman. Scarlet Spider (Felicity Hardy) and more. An all new multi-day event featuring an event exclusive special boss. You decide the next Spidey to enter our dimension. Controller support for MFi controllers. If you’re more of a first-person shooter type of person, don’t miss out the most recent content update for Modern Combat 5: Blackout. It offers sever new legacy weapons— each a remodeled version of a military classic— in addition to more customization, new masks, additional killings and more. A new weapon tier is available for each class and Weapon Trinkets have been added to the Battle Packs that can be tied to your weapon to mark your presence on the battlefield. It’s a staggered release so some of new content may not be immediately available with the update but will rather be progressively unlocked over the near future. Both Spider-Man Unlimited and Modern Combat 5: Blackout updates are now live and available at no charge. Spider-Man Unlimited and Modern Combat 5: Blackout are free in the App Store.